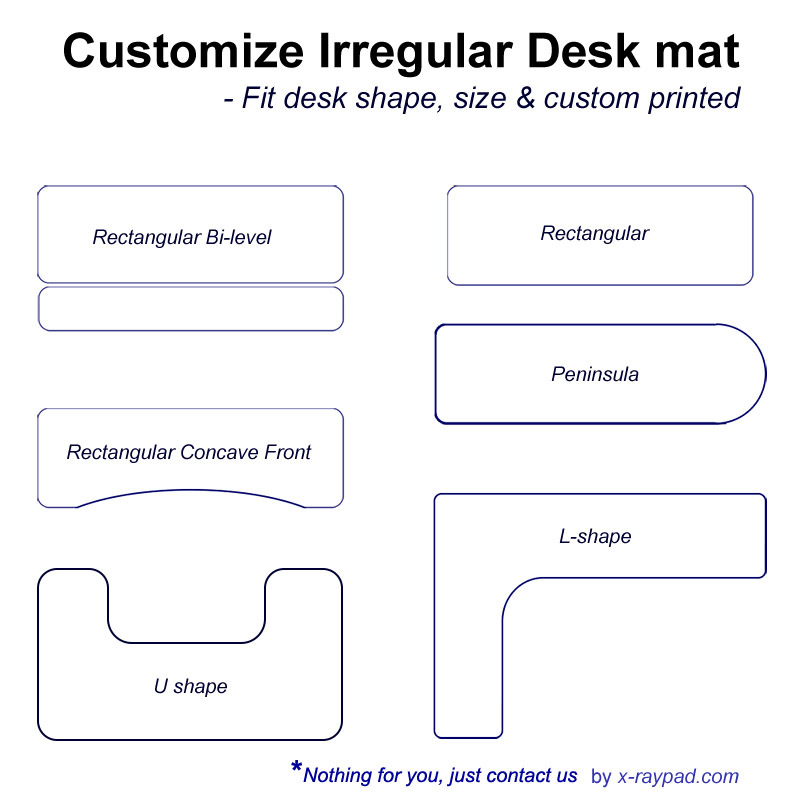 We offer custom mouse pads for irregular shaped desk or table. 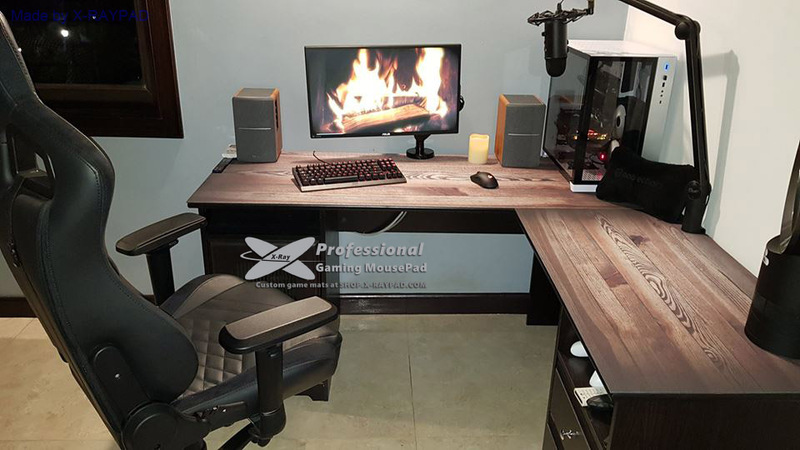 Custom cuts are based on the shape and size you provide, and custom mouse pads cover the entire desktop or tabletop. 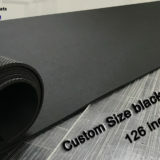 Mat size Choose an option… 18"x16"x1/8" / 460x405x3mm20" x 20" x 1/8" / 510x510x3mm26" x 12" x 1/8"27.56"x27.56"x0.12" / 700x700x3mm42.5" by 9" for Veridesk78 3/4" x 23 5/8" x 1/8"78.74" x 35.43" x 1/8"94cm x 94cm x 3mm800x300x3mm / 31.5" x 11.8" x 1/8"
It protects the surface from scratches, fading and keep cleaning. 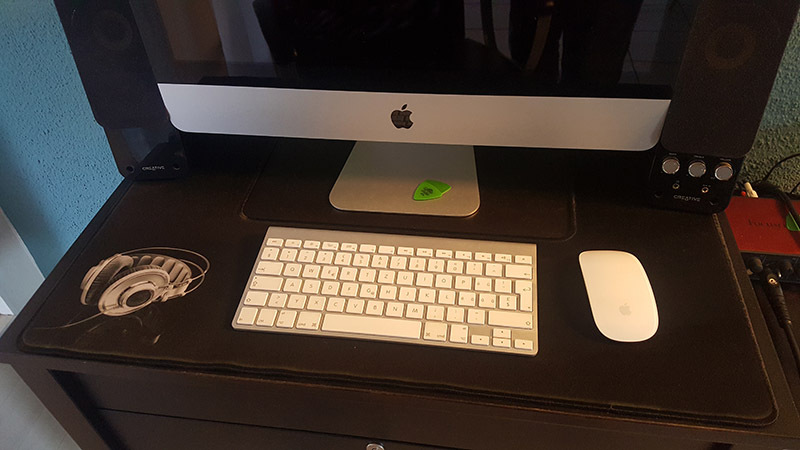 Your hands feel very comfortable when you touch the soft mouse pad. What can we do? 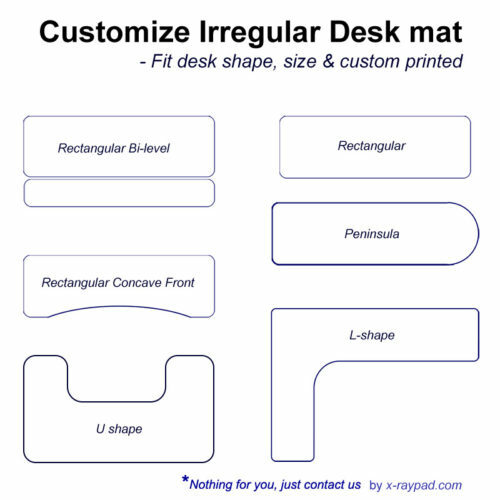 We custom shape mouse pad for Rectangular, Rectangular Bi-level, Rectangular Concave Front, Peninsula, U-shaped, L-shaped desks. 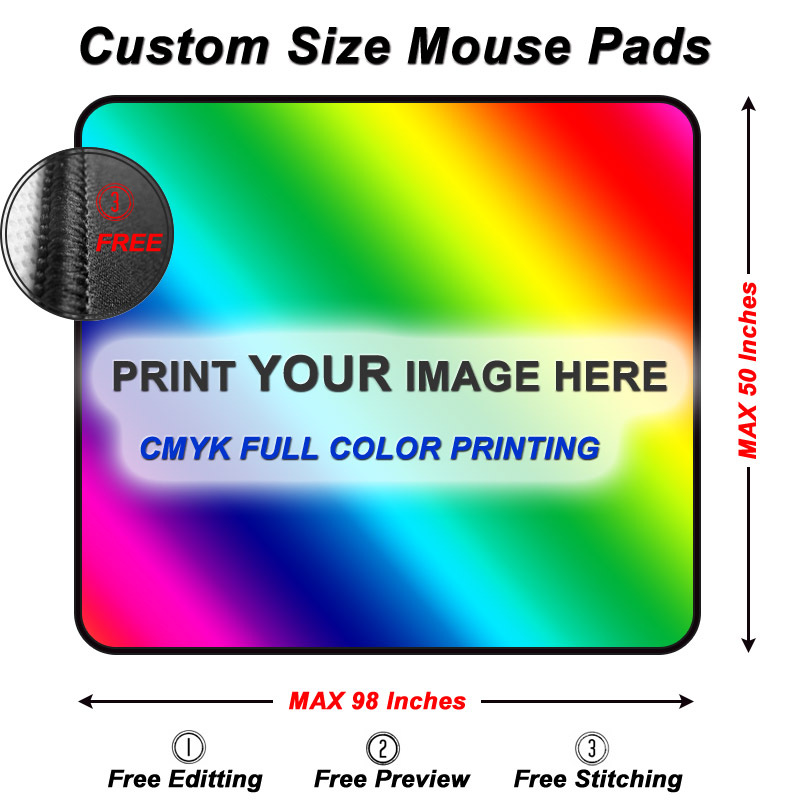 Customize the shape, size and print of the mouse pad to suit your needs. 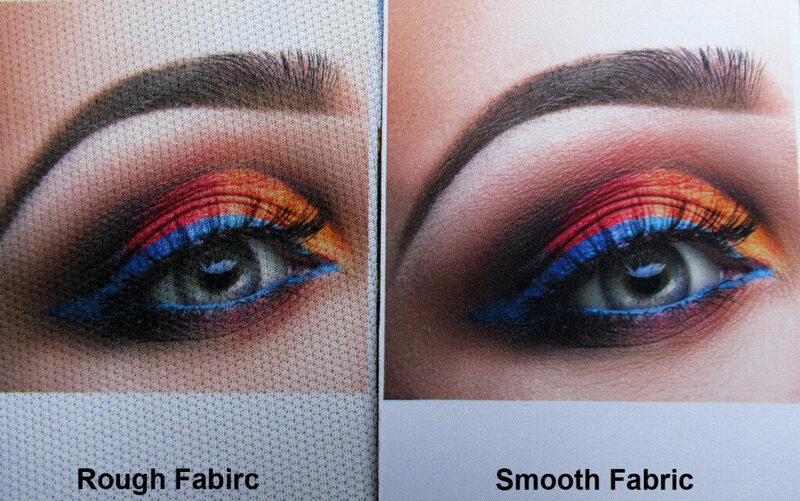 Our goal is to make customization simple. 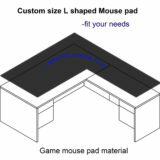 Custom mouse pads for L Shaped desk – Please carefully measure the size of the desktop and let us know. 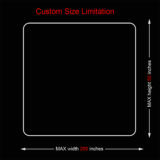 We will customize it according to the size you provide. If you can’t find a size that suits you, please contact us to add it. 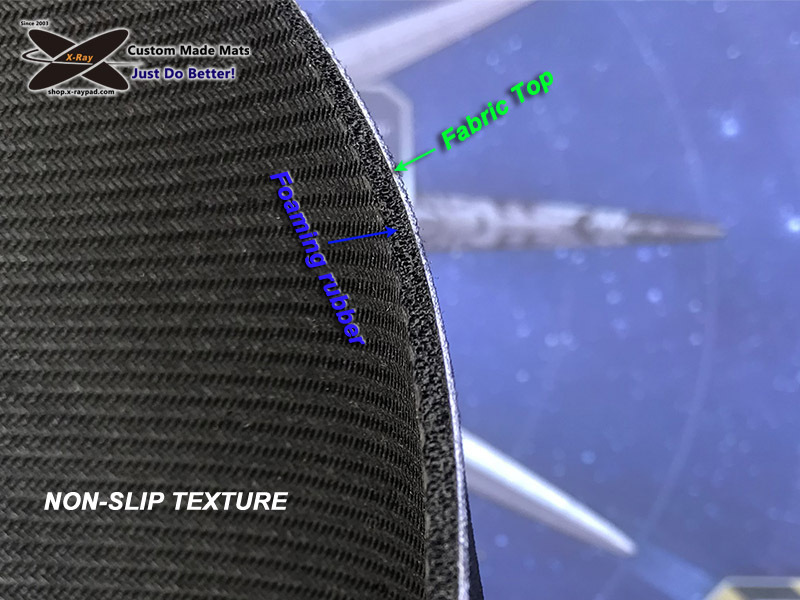 No worry about the custom mouse pad, we will confirm the shape and size before start custom cut and print. We offer custom sizes and shapes to suit your needs. 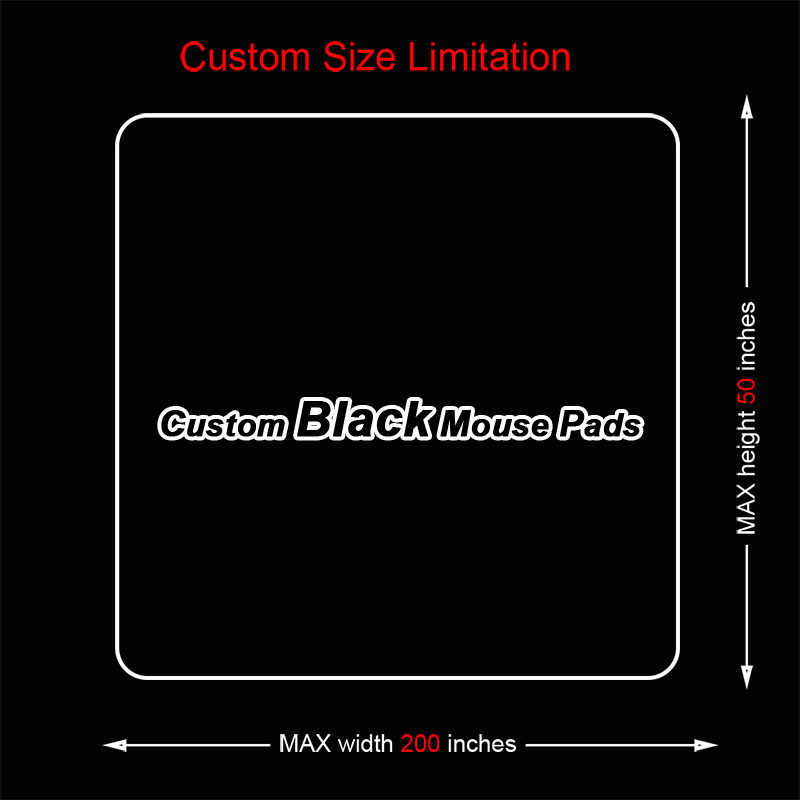 If you need a mouse pad of other sizes or shapes, please contact us. 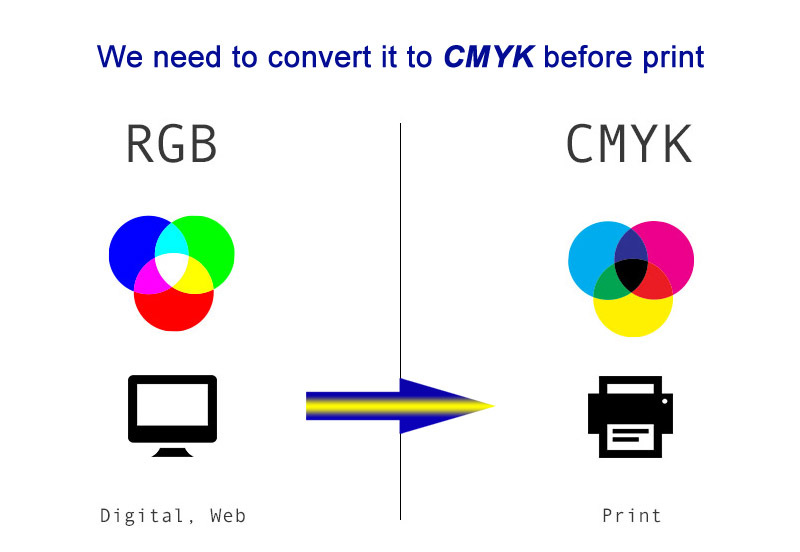 Our goal is to make customization simple. You can upload here for your order or Preview before order.